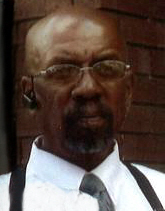 The family of Mr. Walter Lee Crockett will receive friends and family from 5 p.m.-8p.m., on Wednesday, December 12, 2018 at Calvillo Funeral Home Chapel (206 E. 19th Street, Lubbock, Texas 79403). The wake for Mr. Crockett will be held 7 p.m., Wednesday, December 12, 2018 at Calvillo Funeral Home Chapel. Services will be at 11 a.m., Thursday, November 13, 2018 at Christ Temple Church of God in Christ (2411 Fir Ave, Lubbock, Texas 79404) with Supt. W.D. Hayes officiating and Pastor Elijah Austin as the Eulogist. Burial will follow at The City of Lubbock Cemetery under the direction of Calvillo Funeral Home. Repass will be at Christ Temple Church of God in Christ. Walter Lee Crockett was born on June 22, 1940 in Lubbock, Texas. He departed from this life on December 5, 2018. Walter attended Prairie View A&M University in Prairie View, Texas. He retired from Oldsmobile Motor Company in Lansing, Michigan. Walter was a self-employed professional landscaper. He received an award from the City of Lubbock for upkeeping the lawn at Calvillo Funeral Home for nineteen years. Walter has received over ten awards for his concern, support and generosity from various organizations. Walter was vice president of the Chapman Hill Association. Walter was preceded in death by grand-parents, David Sr. and Estella Crockett (Williams), his parents David and Ruth Crockett (Moore), his brothers, Robert Lewis Crockett and David Don Crockett and his niece Kimberly Denise Courtney. Left to cherish his memory are sons Walter Dwayne (Becky) Crockett and Phillip Eugene Crockett, his daughter Isis LaToya Crockett, siblings, Stella (Delton) Courtney, Dora (Buford) Fulcher, Ronnie (Cheryl) Crockett, sister-in-law, Delia Crockett, grandchildren LyAnn Marie Trimble, Kanesha Nicole Crockett, Walter Crockett Jr., Da’Naisha Lake, Nine great grandchildren, and a host of nieces, nephews, relatives and friends. Walter also leaves behind to cherish his memory, his aunt Myrtle Wilson of Portland, Oregon and special friends, Carolyn Gilbert, Noe Reynolds, Richard Calvillo, David Johnson and Ronnie Banks.